Ocala, Florida — On Tuesday, the Marion County Board of County Commissioners would not support a motion to move forward with the re-organization of the county’s administration. Many believe the Board’s decision was because the community came together and demanded change after Ocala Post published an article on Sunday that spelled out issues with Interim County Administrator Bill Kauffman’s proposed plan. As of today, May 5, that article had been viewed 46,605 times. On Tuesday, commissioners told Kauffman to go back to the drawing board. Ocala Post reached out to the Board and asked if Kauffman’s contract as interim county administrator would be re-evaluated (by contract Ocala Post was referring to his position). However, Kauffman was told during the meeting that Marion County Commissioners would need to vote on what to do about his position as interim county administrator at the next meeting. McClain said that he has always felt that it was a good idea to make people compete for their job. “Kauffman is more than welcome to submit his application,” McClain said. Commissioner David Moore, the only commissioner to make a motion on the re-organization, wanted to know why one of the positions in the re-organization plan required a bachelors degree. 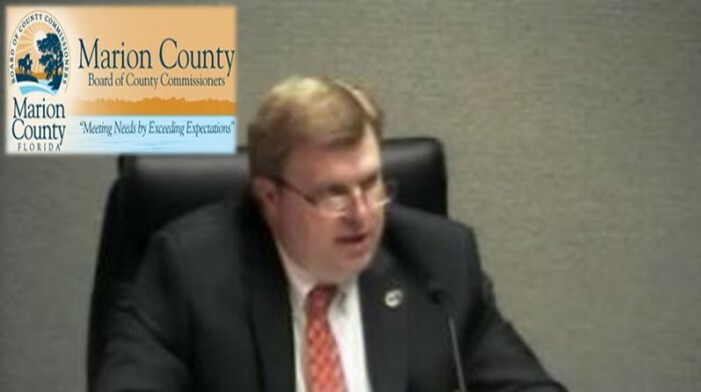 “What is the purpose [of a degree] if the person being appointed to the position has 25 years experience?” Moore asked. However, commissioners did not make a motion to discuss that issue at Tuesday’s meeting. Commissioner Kathy Bryant said that moving forward the Board needs to have a discussion about a uniform system when advertising for jobs. She said that a system needs to be put in place and that same system needs to be used every time. “That way the hiring process would always be viewed as open and transparent on how we fill positions,” Bryant said. “I think that gives this Board discretion,” Zalak said. But Bryant maintained her position. Bryant told Zalak that she agreed with him as far as the current system giving the Board discretion. Since the Board was appointing employees from within the organization, it did not advertise the jobs. However, the question of whether or not the candidate’s qualifications were up to par still remains. According to dozens of e-mails received by Ocala Post, many citizens of Marion County believe that administrator positions should be conducted as a national search. In regards to the loss of MCFR personnel, Commissioner Bryant said that the Board needed to have a discussion about what needed to be done to prevent the exodus of MCFR employees. She seemed to be genuinely concerned about the issue as she spoke. Fire Chief Stuart McElhaney told the Board that another five employees left Marion County Fire Rescue last week, which included someone who had been with the Department for 10 years. Another two resignations were submitted on Monday. Chief McElhaney was a key player in designing the re-organization plan. He has since distanced himself from his fire chief role and turned questioning over to Nevels. Only time will tell if Kauffman will be able to hold on to his position and if the re-organization would eventually be approved. Search Called Off For John Radabaugh Jr.